TimeLapse is an iPhone app that automates the operation of the iPhone's camera to help create time lapse photo sequences. TimeLapse stores the photos in the iPhone photo library so you can easily download them to your computer and create a movie using applications such as Apple QuickTime Pro, Windows Movie Maker or ffmpeg. The interface is easy and intuitive to use, simple click on the Timelapse application and set the number of pictures you want to capture, image size, number of seconds to start after tapping and the delay between images. If you are planning to capture more than 1000 images it is worth noting that at the moment the iPhone names images in sequence up to 1000 and the goes back to the start. 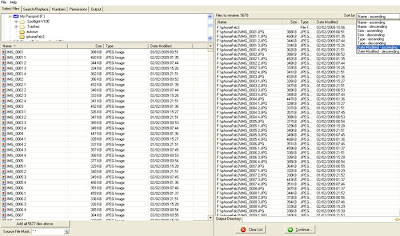 With a timelapse you end up with a file sequence of 1000_1 1000_2 etc meaning that the files need to be renamed. Luckily the process is relatively straight forward using ReName4U by Kelly Software. 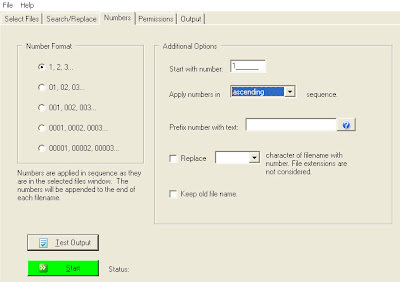 Running in Windows ReName4U allows you to list files by date captured and rename in numerical sequence, thus creating a file structure that can be ordered for a timelapse. Once your files are listed, select the 'numbers' tab and chose the option to apply numbers in ascending order - then click start. iPhone Timelapse Sample 2 from digitalurban on Vimeo. By simply turning your phone on and running the software you can get some interesting sequences - its the easiest way we have found so far for creating timelapses. Hopefully the image naming issue can be ironed out, until then its not too much a hurdle and for £1.79 it makes TimeLapse a must buy for any iPhone owning image sequence fan. You can buy TimeLapse directly from the Apple App Store. Just bought it. Its 59p at the moment! Sounds great. One thing to watch out for -- cameras like those in the iPhone (or non-SLR digital cameras) expose the CCD or CMOS sensor even when not taking a picture. This can matter to you if the sun passes through your field of view while taking a timelapse sequence. Most digital sensors cannot withstand being pointed into the sun for extended periods of time. You can damage your sensor! Take it from someone who seared red lines across the sensors of several Nikon Coolpix cameras (the first time was ignorance, subsequent times the result of long-term timelapse platforms getting moved or having shadow-casting barriers changed). If the iPhone is a mobile device, it seems a bit silly to be leaving it in one place for hours at a time. Novel, yes. But if you're looking to get into time-lapse photography past a one time 'gee-whiz' outing, there's obviously better ways to go about it. If your on a Mac - download them using Image Capture, in the options box you can choose to 'delete'. This will move them to your hard drive and remove them from your phone in one go. You can also do it with Lapse It, it's much better cause it captured using the full camera resolution and can render up to 1080 etc.